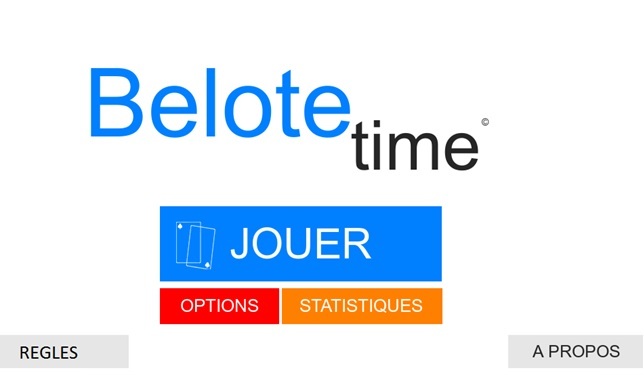 Belote is one of the most popular card games in France that I really appreciate. 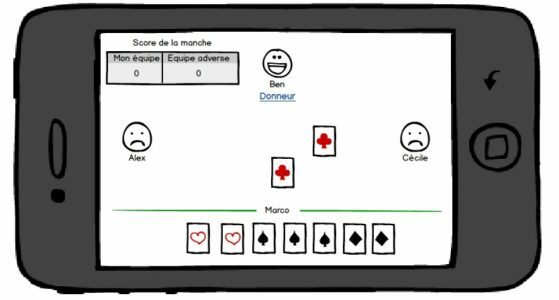 I worked with Nathan Prior and Bernard David on this project. 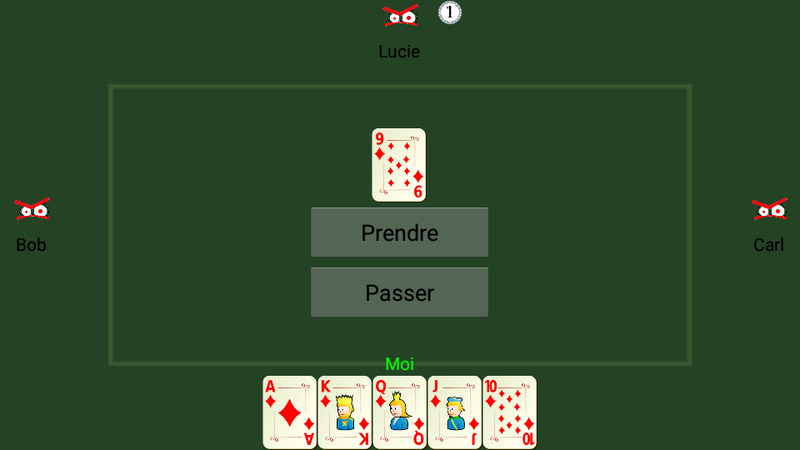 We wanted to make it playable on Android with an Artificial Intelligence to play the 3 other players. This part was the most fun to do. 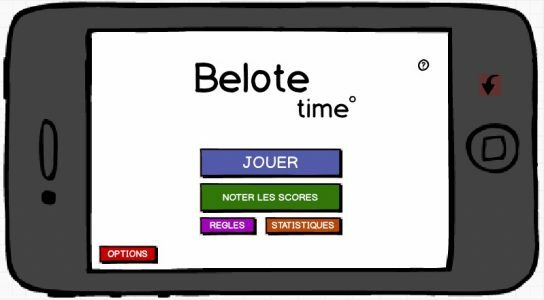 We made a state of the art (test & comparaison of existing Belote apps), a mockup of our app, and we had a list of cool features to enhance the experience (rewards, challenges, etc.). 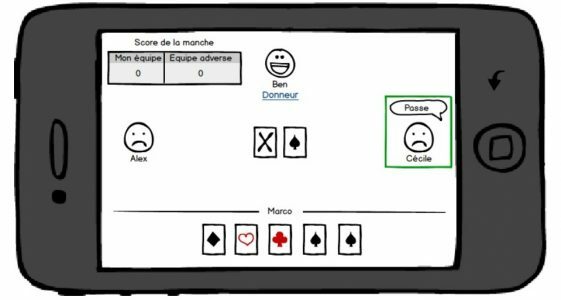 Unfortunately we didn’t know how to integrate the model on Android… So we were able to play on a Java console but not on our smartphone, what a shame! We stopped the project here by lack of time, maybe we’ll finish it later!